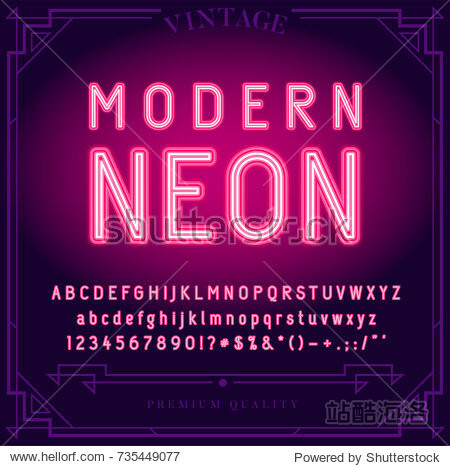 Bright Neon Alphabet Letters Numbers and Symbols Sign in Vector. Night Show. Night Club.